Dwayne Griffin will never forget his one AFL game. And it won’t be the fact that he got through the match without having a touch on the day. But the match will forever be recalled because it was the day that Princess Diana died. The game was against North Melbourne, in round 22, 1997, and a pall came across the MCG that day when it was announced that Diana had been killed following a car accident in Paris. Griffen played two previous seasons with Swan Districts before returning to that club after his short stint with Collingwood. 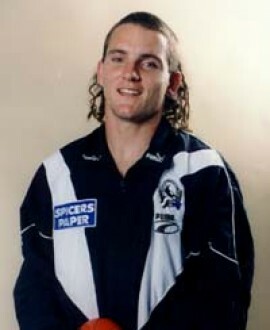 He would play more than 100 games for the WAFL club and won their best-and-fairest in 2002.